A land of myth and mystery, Borgarfjordur in the East Fjords has a natural beauty that wows the senses and stirs the mind. This small group hiking tour explores this stunning area of rugged trails, epic fjords and sweeping coastlines in the company of an expert guide and lets you gain an insight into local folk tales and traditions. With pixies and elves present in the history of every nook and cranny, you will no doubt feel your imagination running wild. Hidden away in Iceland's east, Borgarfjordur Eystri is home to spectacular vistas, stretching coastlines and ancient tales of the elves who, legend states, once resided here. Exploring the area on foot, this trekking holiday is for those who want to get out into the wilds, without pushing themselves on difficult or technical paths. Rated as moderate difficulty, this series of walks is designed to allow travellers to enjoy the stunning scenery as well as learn the stories of the area. 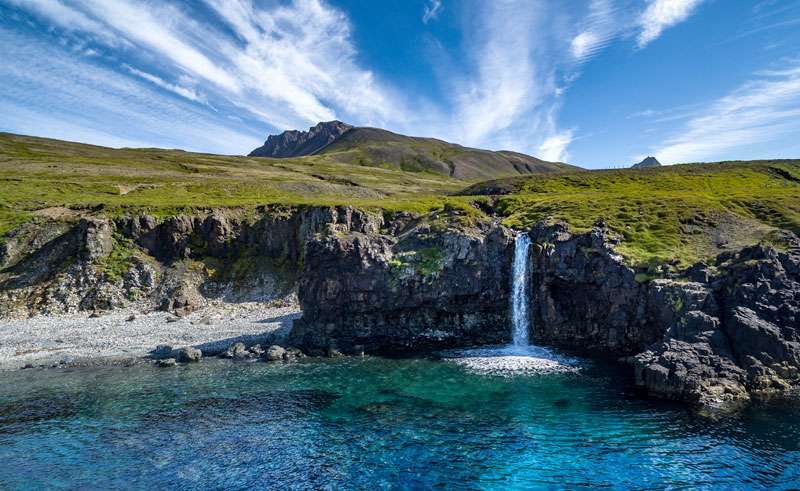 With rugged mountains edged with rolling green hills which wander down to the ocean in deep fjords, there is much to be discovered along the secluded and spectacular coastline. Renowned locally for the fantastic range of hiking options and natural beauty, this area is much less visited by tourists and is thus an ideal area to explore. Using one hotel as a base, this is the holiday for walkers who prefer a comfortable bed at the end of their day and with hot tubs on hand in the local spa, there is plenty of opportunity to relax and unwind after a hike. This escorted group requires a minimum of 2 participants in order to operate, and will have a maximum of 20. Note: on occasion tours may operate with less than the minimum number of participants specified above (or exceed the maximum number indicated) – please refer to our booking conditions for more details. 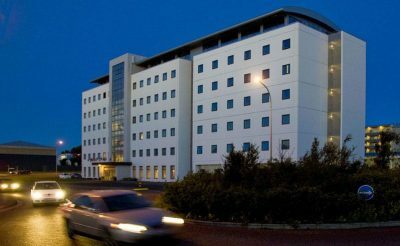 Fly from the UK to Keflavik and transfer to your hotel in Reykjavik. Make your own way to Reykjavik city airport (payable locally) for your flight to Egilsstadir. 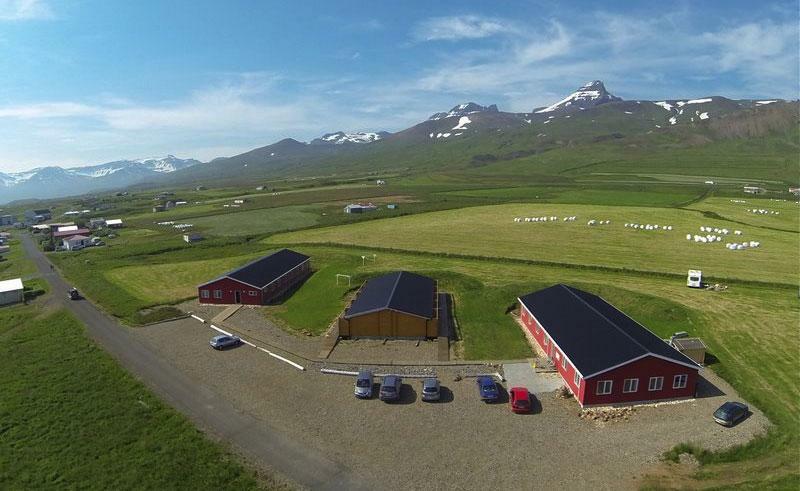 On arrival you will be met and transferred to Borgarfjordur Eystri where you will be spending the next four nights. After a light lunch, take a walk around the local Borgarfjordur village and the valley including the old turf house, concert hall, local fish factory and many other interesting stops on the way. 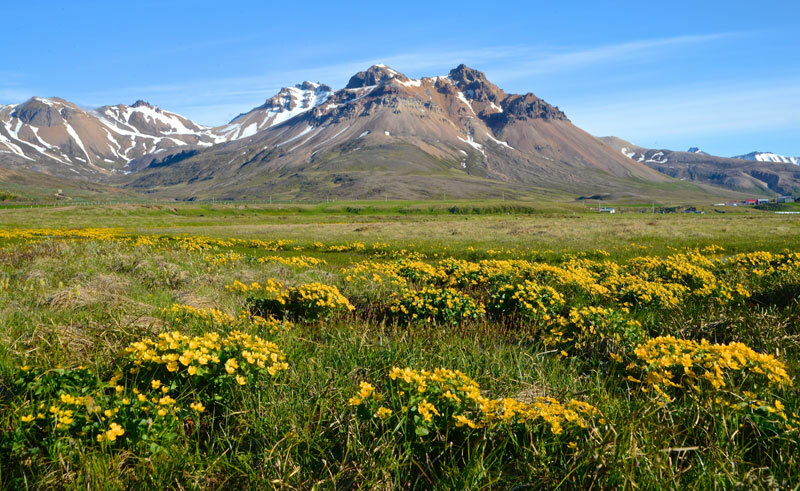 From here, hike on unmarked trails for 3 hours in the valley of Borgarfjordur including the sheep trails up to Dimmidalur (the Dark Valley) and Jokuldalur (Glacier Valley) to see their rugged, beautiful landscape, right under the Door Mountains. Walk through the fascinating elf community of Lobbuhraun, and visit a local home home in Dimmidalur valley. Return to Bakkagerdi village, and visit the queen of the elves at Alfaborg (Elf Hill). 12 km walk with 400 m of elevation. 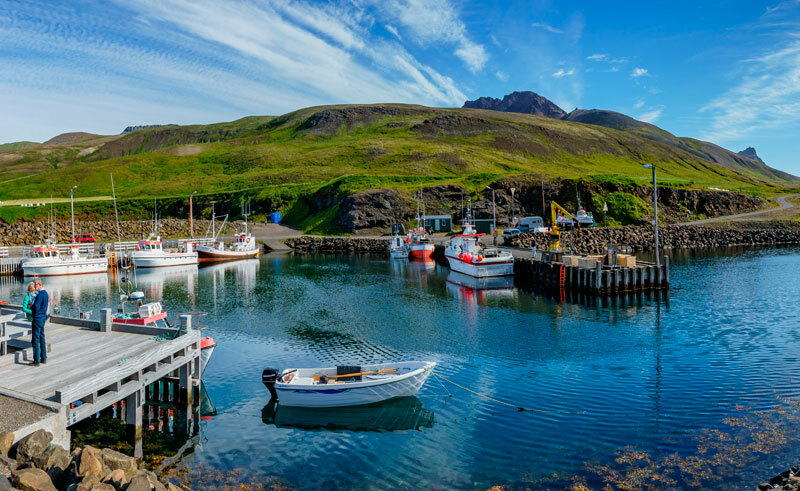 On this day you will visit the harbour at Borgarfjordur, known for its excellent bird watching. It is known for being one of the best places to see Puffins in their nesting environment. Later on, hike from the waterfront through the vegetated mountain screes to Brunavik pass (345m) continuing down to Brunavík inlet. Take a stroll across the black sand beach admiring the beautiful rocks and stunning landscapes. Dip your toes into the refreshing water as you walk barefoot through a small stream to explore the other side of the beach. On the way back, hike over the Hofstrandarskard pass (321m) and follow the colourful Helgargil canyon towards Bakkagerdi village. 16km hike, traversing 700m of elevation. From Vatnskard pass (431m), start the day's hike by heading up and crossing the mountain Geldingafjall (640m) continuing on inland west of the Sulur peaks. 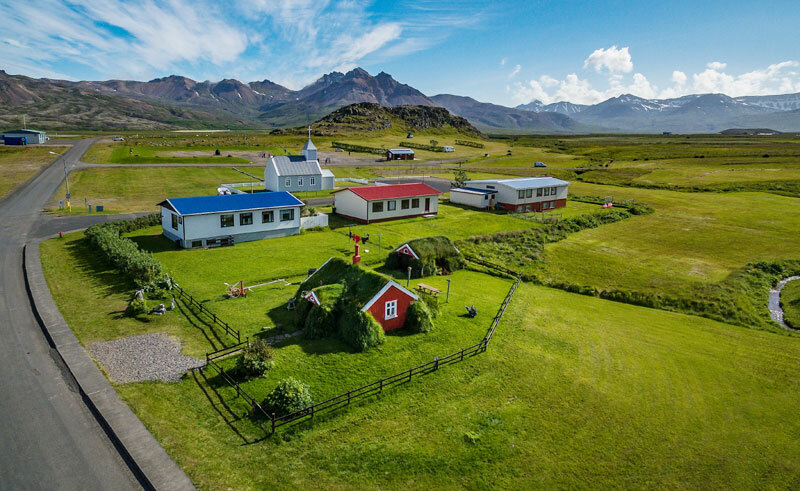 Spend some time taking in the breathtaking views over Njardvik, Fljotsdalsherad valley, the black sandy beach of Heradsfloi bay and perhaps even to Vatnajokull glacier and Mt. Snaefell in the eastern part of the central highlands. Next, head down into Storurd, an expanse of enormous rocks intersected by a small river. Explore the calm turquoise-coloured basins of icy water which lie hidden among the huge boulders often with flat banks of short, tender, green grass. In the afternoon you can opt to either hike along the Dyrfjoll (Door Mountains) or take the easy route back down the valley below Rjupnafell peak. In the morning you will be transferred to Afrett for an easy hike over the moors and gravelly ground. Along the way, you will see the incredible range of pastel coloured mountains and the light brown rhyolite around Uradarholavatn. 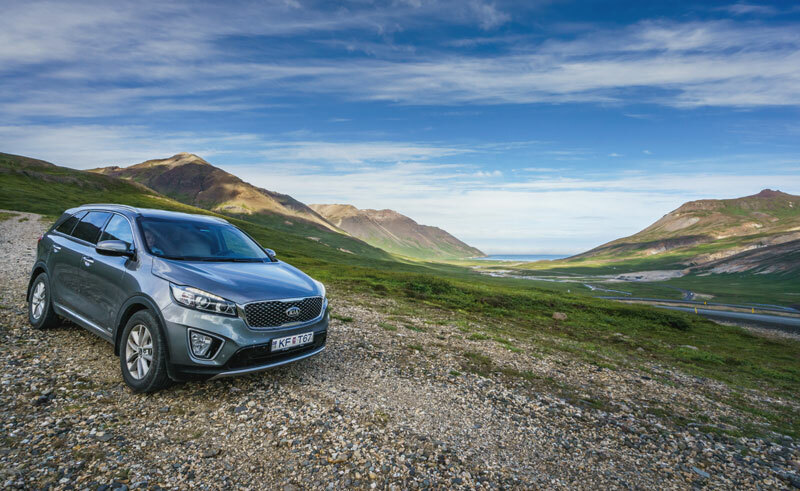 Head further onto Gaesavotn and Viknaheidi before reaching the Breidavik inlet. After a short stop at the Breidavik black sand beach with its Siberian driftwood, hike up to Gagnheidi ridge (479m) which has a viewpoint indicator and a fabulous panorama before heading back to Bakkagerdi. 11km trek with 415m of elevation. Transfer to Keflavik Airport for your return flight. 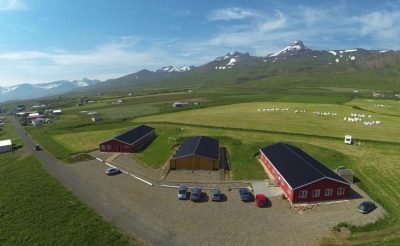 Found on a farm in the tiny fishing village of Bakkagerdi in Borgarfjordur, this guesthouse offers 30 double rooms across three log-cabin style buildings. 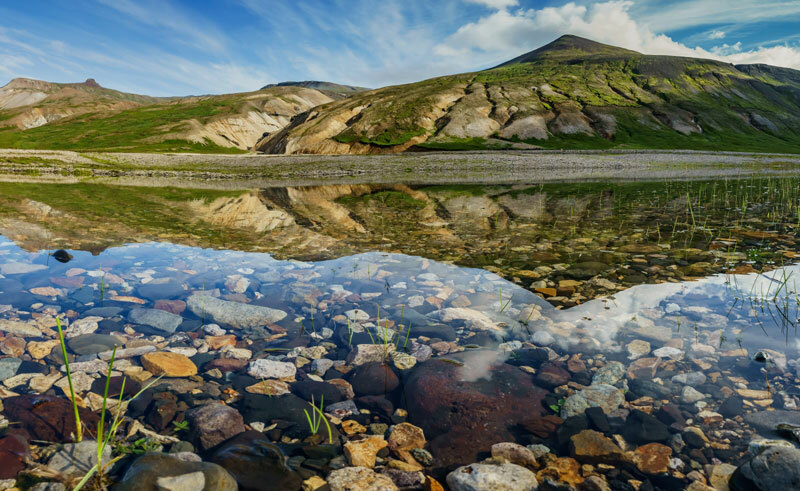 Covering 50km, this 4-day guided hike takes you to the stunning, little visited nature reserve of Lonsoraefi in southeast Iceland. Stride out amidst mountains and ice-filled fjords on this escorted walking tour.